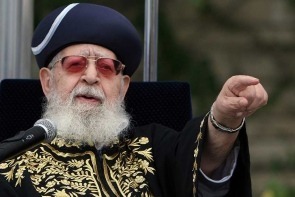 The death yesterday of Israeli Rabbi Ovadia Yosef triggered a round of tributes from the diplomatic community and the Palestinian leadership. The Palestinian Authority Chairman Mahmoud Abbas, who heard the news while meeting Israeli politicians, is reported by the Times of Israel to have reacted by asking his interlocutors to send his condolences to Yosef’s family “in the name of the Palestinian people”. Such sentiments are surprising in view of the Rabbi’s appalling record of publicly stated loathing for non-Jews. Just a year earlier the rabbi had attracted controversy by referring to Palestinians as snakes. “He is bringing snakes near us. What kind of peace do you want to make with a snake?” he asked, referring to then PM Ehud Barak’s attempts to negotiate with the Palestinians. The Islamic Human Rights Commission (IHRC) believes that Rabbi Yosef’s comments are not the isolated views of an out of touch religious recluse but rather they betray the racial supremacism that is at the heart of the Zionist ideology.